integrative media functions become more pronounced: manifested in the global spread of identical news or series as well as in live events watched by hundreds of million people worldwide. On the other hand, we see the emergence of new media based on networked personal computers: giving rise to the global public net of networks known as the "Internet", but also to a rapidly growing diversity of semi-public networks on the meso-level of organizations and groups (intranets) as well as to completely private networks (based on mailing lists or email addresses). The most general function of these new technologies in to provide low-threshold access to worldwide information, communication and publication for any user irrespective of time, space and social affiliation. Ideally, "low threshold" means particularly that fixed costs (in terms of money or the acquisition of prior qualification) are very low and that the need for intermediary agencies vanishes because authors are able to act themselves as editors or publishers without making use of organizational and/or professional support. In addition, the rapid worldwide spread of computer networks (even in underdeveloped countries) is facilitated by their rather low infrastructural and organizational requirements (compared with traditional "snail mail" and conventional telecommunications). As a consequence, the public sphere is drastically enlarged by layers of peripheral information and communication: stemming from a multitude of (mostly unprofessional, often even unidentifiable) sources. Even extremely small and poor collectivities (like tiny communities, extremist groupings or intraparty fractions) are able to present themselves independently in public, and long forgotten informal folk traditions and local identities may re-emerge in unexpected forms and constellations. This implies that the factual heterogeneity of cultures and views existing on grassroots levels is more likely to become manifest, and that any kind of consensus-building becomes more cumbersome because a larger variety of positions have to be combined. Given the aforementioned exodus of conventional media from lower levels of society, the Internet is likely to fill this ever growing vacuum, and by giving a voice particularly to more educated population segments skilled and motivated to make their views heard in a competent way. Looking at the present online-scenery in Switzerland, we already see that the Internet may revive the "opinion press" wiped out in the last decades (e.g. "Biwidus"1) or "CH libre"2)) or that it may give rise to a rich flora of small-scale media on the communal or neighbourhood level (e.g. "mattezytig"3) or "der Oberhasler"4)). While the conventional media have high potential capacities to influence public opinion and political processes, their societal impact is curbed by the fact that their mere size forces them to abstain from high-profile opinions and ideologies and to adapt opportunistically to a variety of preferences and pressures. On the Internet, we find the contrary constellation of actors: very weak in terms of money, organization and public visibility, but rather strong in terms of goal specificity and internal homogeneity. Nevertheless, online groupings typically remain "weak publics" insofar as they contribute to a fragmentation of public attention to a multitude of issues at the same time: so that no focused public discussion on single salient issues can be enacted, and no unified "public opinion" (as a supreme source of political legitimacy and guidance) may emerge. In sociological terms, Internet surfing can be conceptualized as the sequential enactment of very peripheral (fully reversible) roles (VPR) and the short-term actualization of very weak social ties (VWT). The major function of these is to provide individuals with a broader range of information and behavioral options without sacrificing autonomy and without being drawn into more enduring and demanding types of social relations. In the realm of politics for example, we may see the spread of a very noncommittal type of "mouse-click - activism": by signing petitions or (p)referenda by email or by initiating one's own very little campaign (without the need for helping hands or formal organization). Certainly, the Net does not create equal publication chances for everybody, but the nature of these inequalities is severely transformed. Up to the present, inequalities were based on different opportunities for accessing channels of publication (= a correlate of money and social controls); in the future, inequalities will result from different skills in attracting public attention (= more a matter of reputation, the possession of relevant information or mere communicative skills). Basically, the common good for which all media are competing is "individual attention": a scarce resource not expandable much on the level of each human being because of all other role-requirements of modern life. The capacity of the Internet to absorb attention is particularly high because wherever surfing occurs, it is a dominant activity beside which almost no secondary activity can be exerted at the same time. Absorption is particularly high to the degree that interactive potentials are exploited: (e.g. by writing newsgroup messages or participating in online games.). These interactive features are also making the internet a serious competitor for face-to-face interactions to a degree never attained by books, radio or TV. 1) Mass media will concentrate on real "broadcasting": aiming at extensive mainstream audiences with highly "popular" content and disregarding smaller-scale social systems (as well as lower levels of societal institutions and meso-social organizations). Computer media will specialize on "narrowcasting" to a multitude of tiny minorities with highly divergent (also quite exotic and extremist) preferences and views. Consequently, the (global) public sphere will become more comprehensive by encompassing a wider spectrum of social collectivities and by reaching further down to very low levels of society (e.g. the level of tiny communities and insignificant voluntary associations). On the professional level, we may well see the emergence of a new type of narrow-casting journalism: small teams of free lancers selling their specialized or "customized" news (e.g. covering a local area) online to paying subscribers with whom the will cultivate interactive relations. As they don't need any organizational infrastructure, they will remain independent from capitalist elites and large-scale bureaucratic institutions; on the other hand, their dependence on recipients will be notoriously high. 2) Mass media will emphasize sender-dominated "push-information" (like announcements of new products or political propaganda) aiming to provide basic new information or changing attitudes; computer media will specialize in "pull-functions": providing data-bases (e g. advertisements about job openings or vacant apartments) for client-oriented use. Consequently, all mass media heavily relying on pull information (e.g. daily newspapers) will tend to lose income, while push media like Television will be less affected. Generally, net publication reinforces the dissociation between encoding and decoding behavior, because users enjoy all the freedom to navigate in any preferred direction. Hypertextuality in particular makes it less probable that messages are decoded in the same sequences as they were encoded: thus lowering the sender's chances of controlling the process of communication. Consequently, senders are in a position of helplessness and uncertainty. In particular, they lose control over the sequential orders of verbal transmissions: making it impossible to transmit very complex chains of logical reasoning or complicated literary plots which require that a strict sequence in decoding is maintained. While it becomes very easy to be sender, it may well become less motivating to send anything, because no control over reception processes can be gained. 3) Mass media will articulate the integrative aspects of society: providing widespread common experiences, homogenizing opinions, offering intellectual leadership, transmitting information generated at top levels of societal institutions. They try to focus public discussions on single salient topics and create a strong "public opinion" able to influence societal developments and political decision making. Contrarily, computer media will express aspects of cultural heterogeneity and social complexity: constituting an ever growing "variety pool" of information and views hitherto not available within the public sphere. They give rise to a multitude of volatile "weak publics" (Nancy Fraser) deliberating on a broad spectrum of (also quite "unpopular") issues at the same time. 4) Given the costs and limits of transportation or terrestrial propagation, most conventional mass media will remain confined to territories, while computer nets specialize on trans-territorial communication (e.g. catalyzing solidarity among geographically dispersed ethnic or religious groups). In the political realm, the net may facilitate the emergence of nonterritorial actors (e.g. worldwide ethnic movements) as well as the formation of "heteromorphic" actors (combining territorial states with emigrant populations). Culturally heterogeneous countries (like Switzerland) will experience additional centrifugal forces, because the diverging transnational solidarities of different population segments may become reinforced. 5) Mass media will specialize on the one-directional diffusion of information without feedback provisions; computer nets will be used for bi-directional (and multilateral) communication. Together, they create the chances that a more equilibrated relationship between (1) top-down information, (2) bottom-up communication and (3) horizontal multilateral communication is maintained within political systems, parties or other organized social units. Paradoxically, mass media will be more able to maintain their highly centralized regime: because the Net functions as a "safety valve" by providing free publication opportunities to all those who have no access to the conventional channels. From a methodological point of view, the study of online communication can contribute much to a better understanding of the potentialities and shortcoming of face-to-face - interactions on the one hand and of unrestricted public communication on the other. In a practical perspective, systematic research will be needed to assess the functional capacities of different online arrangements; for example: what difference does it make whether discussions are moderated or unmoderated, or whether access to discussions is open to everybody or selectively restrained? 8) Mass media will continue to be (or become) fully commercialized media because their fix costs (as well as variable cost) are very high. While computer nets (particularly the WWW-section of the Internet) will also certainly be colonized by commercial media firms, there will always be a large "amateur section" reigned by noneconomic values. In theoretical terms we may expect that in a fully wired society, there will be a more pronounced segregation between the economy and other institutional orders: because whoever wants to spread information without commercial motives (e.g. for political, scientific of religious reasons) can do so without making use of commercial publishers. Given the ease of entry and leaving, we may see a proliferation of "amateur journalists" : e. g. retired elderly citizens contributing to local news coverage or students reporting about highly specialized cultural developments and events. The Internet may also become a natural breeding ground for young journalists undertaking their first career steps and experiencing their first phases of professional socialization. 9) Mass media (particularly Television and the Tabloid Press) will even reinforce their contemporary trend toward "personalization": focusing more on human individuals (with all their idiosyncrasies) than on collectivities or more objective aspects of culture or social institutions, . Instead, communication on the Internet will concentrate far more on depersonalized topics (e.g. ideology or artistic artifacts) because - given the incapacity to transport nonverbal cues - communicated messages are likely to become highly dissociated from their senders. Thus, mass media may remain important in the realm of political leadership and political elections, while issue-related discussions may become more highly developed in online settings than (for instance) in TV-talkshows or volatile newspaper reports. "Digitalization" is the Megatrend producing a growing convergence of almost all technical media on the most basic technical level. All digitalized data belong to a single, coherent universe insofar as they can easily be transmitted and transformed from one mode (or sector) to another. Within seconds, entries of most private diaries or minutes of secret executive sessions can be made available worldwide in the Internet, while public documents may be integrated into personal archives or forwarded a email messages; oral speech may be transformed in written text (or vice versa) and hitherto isolated groups or organizations may coalesce by sharing their data bases etc. While the generation of communicative boundaries is still essential for the differentiation of social systems, such boundaries are basically permeable and have to be maintained by artificial efforts of self discipline and social controls or by special technical provisions (like firewalls and encryption). "Permeability" also means that internet users adopt an undifferentiated "polyvalent" role by changing quickly between phases of passive reception and active communication; and that firms and institutions dedicated to specific media (printing, TV, radio, film, software etc.) may give way to multimedia enterprises exploiting all modes of digitalization. Finally, it explains the explosive speed with which the WWW is filled up with contents from the grass roots level (e.g. 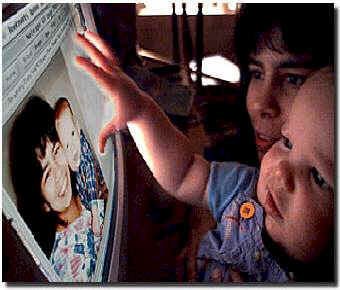 family snapshots) on the one hand and from the sphere of mass media and formal institutions (e.g. electronic journals) on the other. Considering the least controversial hypothesis, we may safely predict that the media system evolves toward higher complexity levels because new media are emerging while all conventional media are - in maybe diminished extensions - basically maintained. As a consequence, senders and receivers will have higher degrees of freedom in choosing media channels according to type of messages as well as according to their preferences, habits and goals. Focusing on those increasing populations who have access to all media channels, we may state that their actual use (or no-no use) of different media is increasingly indicative of the user's personal (or collective) preferences. Like a prisma, the media system will tend to amplify basic divergences between different individuals, groups, countries or regions by providing them with a broader range of selection. Particularly, the use of computer networks may correlate strongly with preferences for individual freedom and political decentralization: thus sharpening the confrontation between liberal and authoritarian ideologies (or even intensifying Huntington's "Clash of Civilizations"). It would be extremely misleading to see the "new media" as mere supplementary components of a given media system: making it more complex by providing some additional functions. Instead, Digitalization as well as Computer-Networking are more basic innovations pervading all technical media and generating a new platform for social and cultural evolution. Developments in the contemporary media world are progressing with such speed that they can no longer be grasped with traditional habits of scientific research and scientific publication. For instance, studies on the Internet are only useful when they can be finished and made publicly available within 12 to 15 months. Consequently, typical research becomes small-scale and results have to be spread by means of online publications. As a second categorical change affecting research methodology, it has to be acknowledged that there is a rapidly widening gap between the current factual uses of the given technologies to be observed presently (or in the recent past) the future potential uses of the given technologies (to be projected by taking ongoing learning and diffusion processes into account). Methodologically, this means that empirical research has to be supplemented (1) by more prognostic endeavors: trying to preview how different social or cultural settings will probably make use of the new media in the future, and (2) by "constructivist" endeavors: sketching various scenarios based on alternative premises about values and goals to be implemented or socio-cultural traditions to be conserved. The new media reduce the degree to which various kinds of individual or collective activities (as well as their causal impacts) can be predicted, because they provide all social actors with a wider range of alternatives concerning the types, modalities, contents and targets of communication. For instance, very many tiny groupings are able to start a "cybercampaign" at any chosen moment, and every individual user can relate himself to anyone of 18 000 discussion groups at any hour of the day. The "low-threshold" character of the new media implies that very negligible subjective motivations can decide whether one or another given online behavior (or none at all) will actually occur. In a methodological perspective, it may safely be concluded that the new media make it more necessary to conceive of human individuals (and even collectivities) as "stochastic" actors whose basic micro-actions are characterized by erratic fluctuations (while their overall behavior may well show higher regularities over time). The new public sphere is a vast arena where very different social actors meet on the same plane of interaction: individuals, groups, collectivities, organizations, institutions, public authorities and political regimes. In addition, digitalization of data encourages the blurring of authorship (e.g. by supporting cooperative text-production or by facilitating plagiarism (via "copy and paste")). Finally, we may see the emergence of "semi-virtual groupings" (combining face-to-face partners with online members) as well as "cyborg systems" which include artificial actors like software agents, chatterbots and the like. 5) See for instance: Josef Wehner: Interaktive Medien - Ende der Massenkommunikation? (in: Zeitschrift für Soziologie, 26, 1997: 96-114). 8) Josef Wehner, op. Cit.